The Mast Camera (Mastcam) on NASA's Curiosity Mars rover captured this mosaic as it explored the "clay-bearing unit" on Feb. 3, 2019 (Sol 2309). 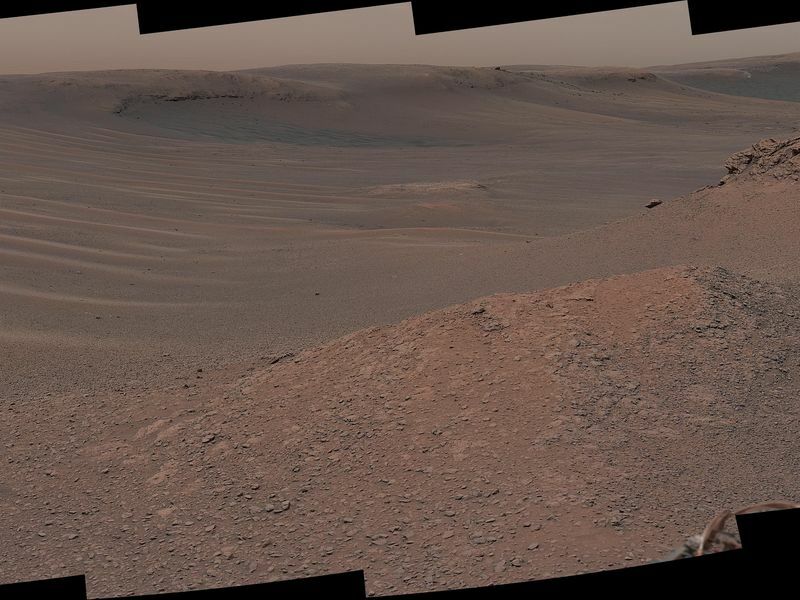 This landscape includes the rocky landmark nicknamed "Knockfarril Hill" (center right) and the edge of Vera Rubin Ridge, which runs along the top of the scene. Made of many individual images, this mosaic includes a variety of geological features, such as several kinds of bedrock and sand. 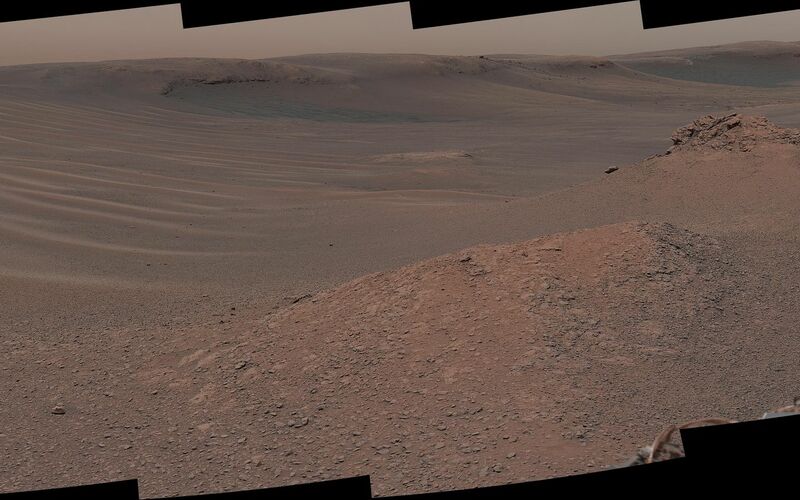 The clay-bearing unit has been an important scientific destination since before Curiosity launched. NASA's Mars Reconnaissance Orbiter (MRO) spied a strong clay "signal" in this region, indicating that water may have played a role in its formation. 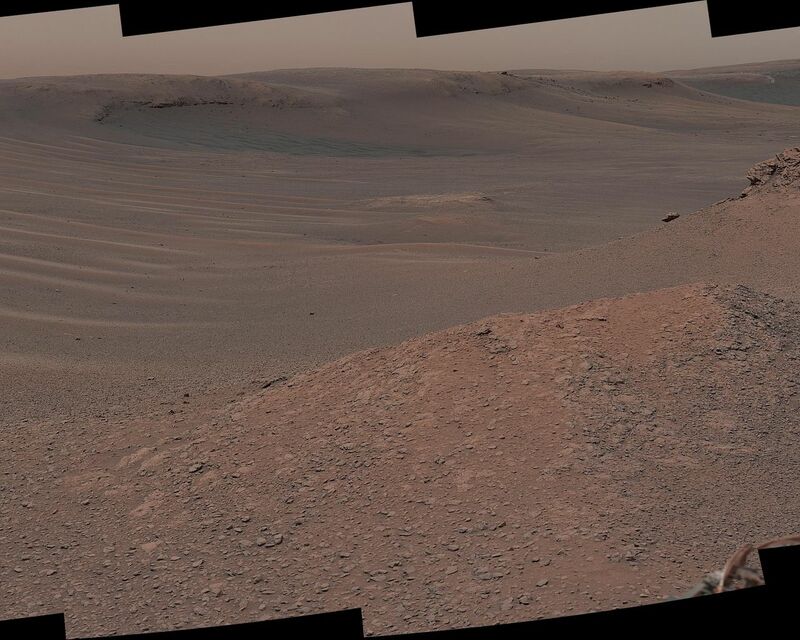 On its long trek since landing in 2012, Curiosity has discovered many examples of mudstones containing clay minerals.